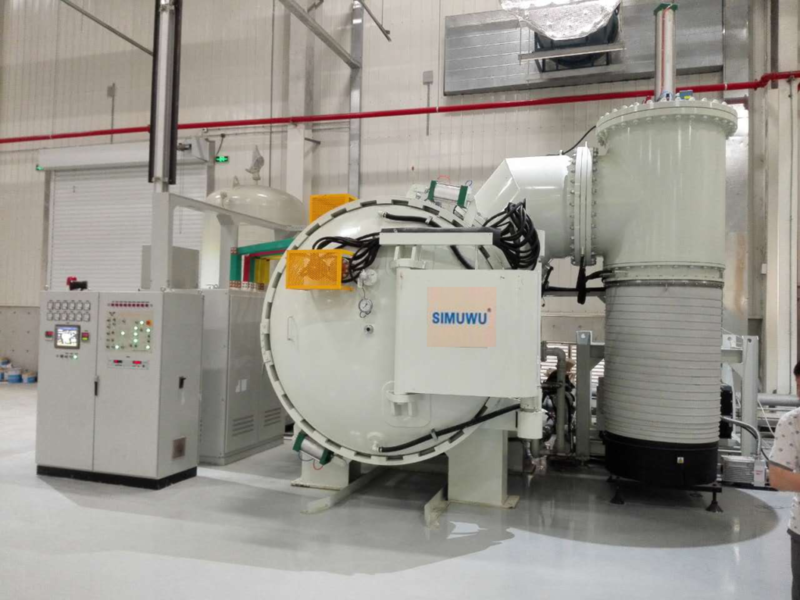 How to choose suitable vacuum heat treatment furnace? Vacuum heat treatment furnace selection according to the parts to be heat treatment chemical composition and the heating temperature must meet metal oxide and carbon monoxide balance points decompression and to consider the relationship between certain room do not pursue high high vacuum degree of vacuum degree not only cause the volatilization of alloy elements and will cause the equipment configuration for improvement of the investment cost increase. Cooling form vacuum furnace is cooled with oil and cold. At present mainly air cooled for air-cooled heat treatment parts without any pollution and bad influence oil cooled surface micro carburizing problems after the impact on the quality of processing surface clean don’t need to wash so meet the conditions of cooling rate on gas cooling quenching in the first place. The cooling rate of air cooling is mainly influenced by the influence of air pressure, flow velocity and air flow form and distribution. Generally, the air pressure is high, the velocity is large, and the cooling speed is fast, which is directly affected by the pressure and velocity. In addition, the flow rate of cooling water in the heat exchanger has obvious effect on the actual cooling. Heating elements in the form of vacuum furnace heating element in the form and materials are somewhat different Generally plate and rod for the multi-material high-quality graphite. In recent years, the emergence of CFC carbon-carbon composites showed a greater technological superiority to replace graphite. The same power CFC material thickness thin relative to heat storage is conducive to improving the cooling rate. The ability to purchase the furnace to consider the general use of the process is to quench the tempering temperature range. In particular, it is very convenient to deal with high alloy steel tempering temperature and quenching after quenching. The control system control system is the core part of vacuum heating furnace to ensure its reliability and perfection and its importance. It is better to have monitoring and fault display and recording function to equip the imported equipment with remote monitoring function so as to ensure the timely reduction of the maintenance cost. The reliability of other sealing and vacuum system configurations is also important. In the form of equipment, it is necessary to strive for reliability in comparison.